Kindle Fire Black Friday Deals Coming Soon? Black Friday is just days away, and there is a vast selection of new gadgets out there waiting to be snatched up. The Kindle Touch and Kindle Fire were released on November 14, and are showing very favorable reviews overall. Amazon has its own Black Friday page that includes everything you need to know to keep track of the latest Black Friday deals. Bookmark the Black Friday deals page, follow Amazon on Facebook or Twitter, and sign up for email updates. Amazon has been known to provide short term deals on its newer Kindles, and discounts on previous generations. Since all of the Kindles are already set at extremely low prices, the thing to watch on the 2011 Black Friday sales is games and accessories. Holiday editions of popular games have been known to pop up, and Amazon is showcasing several different covers for the Kindle on their homepage. The selection of Kindles has multiplied this year. The Kindle 3 is now called the Kindle Keyboard, and it comes in 3G and Wi Fi options. It is also offered with and without special offers. Amazon introduced a basic version of the Kindle that is simply named Kindle. This model starts at $79. The Kindle Touch starts at $99, and like the Kindle Keyboard, it comes with four different choices depending on whether you want 3G, Wi-Fi, or special offers. Lastly, the Kindle Fire is a tablet most comparable to the NookColor, and is $199. There is a Kindle for all ages. The Kindle makes a great stocking stuffer or first Kindle for children. The Kindle Touch is the most bang for the buck with its new touch screen and features. 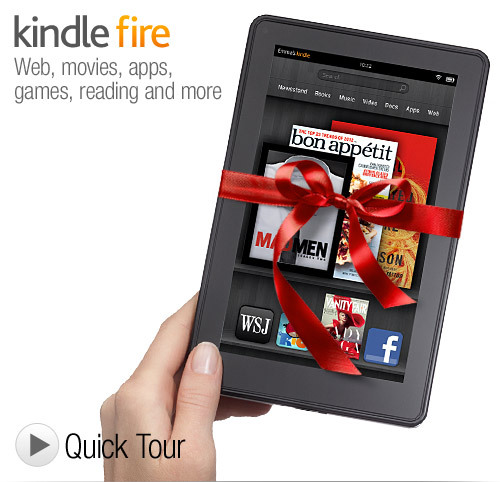 The Kindle Fire reaches out to those who want a multipurpose device. The Kindle Keyboard remains for those who prefer a physical keyboard.